This link will direct you to a new page. The log in and password for access to our archived rolls = PUBLIC. Your initial log in to this program will prompt you to download the "Paper Vision" software. You must ACCEPT the license agreement to continue with your search. Once you are in the database, you will be able to search all digital records available from the Office of the Tax Assessor-Collector. This will bring up a total list of all rolls currently available. Please note: Depending on your equipment and internet speed, it may take a while to download some of the larger data files. Please be patient. If you should have any questions, please contact us at tac@co.gonzales.tx.us. 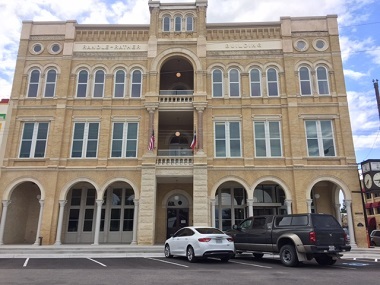 The Gonzales County Tax Office collects ad valorem taxes for Gonzales County, City of Gonzales, City of Nixon, City of Smiley, City of Waelder, EMS, Gonzales County Fire District, Gonzales Healthcare Systems, Nixon Hospital District, Yoakum Hospital District, Gonzales Co. Underground Water Cons. District, Gonzales ISD, Nixon-Smiley CISD, and Waelder ISD.